From the available public reports, Mogherini (pictured above) appears to be the slight favorite for the role. 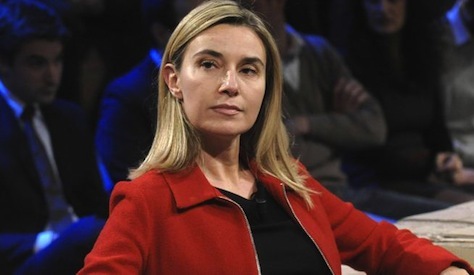 At age 41, Mogherini has only served as Italy’s foreign minister since February 2014, replacing Emma Bonino, a longtime public figure for women’s rights and human rights. But in six months, Mogherini has proven herself an able advocate, not only for prime minister Matteo Renzi, but in drawing a sophisticated line on issues like the European response to Ukraine — she’s tough and hawkish when necessary, but diplomatic too. Nevertheless, her toughest opposition comes from eastern Europe, especially the Baltic states, which fear she’s too lenient on Russian president Vladimir Putin. Critics argue that Mogherini lacks the experience to serve effectively as the European Union’s chief voice on foreign policy. Compared to Sikorski, or even Georgieva, that may be true. But certainly, Mogherini has more experience than Baroness Ashton, whose previous experience extended to a stint in the United Kingdom’s House of Lords, where her responsibilities included shepherding the Lisbon Treaty to a virtually certain approval under Labour rule, and barely a year as the European commissioner for international trade. It’s also important, when thinking about the Council’s actions, to keep an intergovernmental perspective. What do Europe’s leaders actually want? In particular, what do the leaders of the EU’s top six countries want? In Mogherini, they have an official who’s proven her ability to navigate European policy in her capacity as Italian foreign minister, but not someone with so much experience that she might actually eclipse national leaders like German chancellor Angela Merkel or British prime minister David Cameron. What’s more, Mogherini adds ideological, geographic and gender balance to the EU mix. She’s a woman at a time when Juncker’s Commission is shaping up to be especially male. But more importantly, after the center-left, pan-European Party of European Socialists (PES) largely assented to Juncker’s appointment as Commission president and even accepted the reappointment of its own Spitzenkandidat, German social democrat Martin Schulz, as president of the European Parliament, Mogherini represents a center-left, southern counterbalance to Juncker, a northern Christian democrat. It’s also a credit to Renzi, whose Partito Democratico (PD, Democratic Party) had such a strong showing in the May European elections that it holds more seats than any other center-left party within the PES in the European parliament. Mogherini’s elevation from Italian foreign minister to, essentially, European foreign minister, would give Renzi more credibility within Europe. But Sikorski (pictured above) shouldn’t be ruled out. He made headlines, embarrassingly, earlier this year after he was recorded making somewhat impolitic comments about the United States. He’s hawkish, pro-American, and he would advocate strongly for tougher European foreign policy, especially in standing up to Russia. 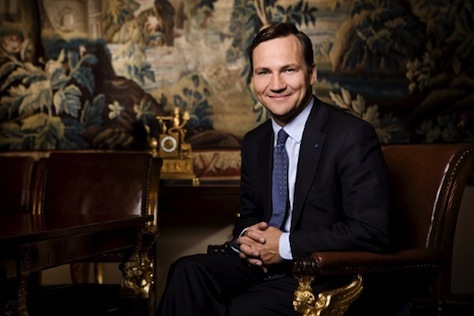 Polish prime minister Donald Tusk nevertheless announced Sikorski as Poland’s candidate not only for the Commission but for the foreign policy role in particular. Alternatively, national leaders like Merkel might not mind having Sikorski serve as a hawkish attack dog for European interests, allowing Europe to more effectively play a ‘good cop, bad cop’ game with actors like Russia, Turkey, and elsewhere in the Middle East. Though there’s no doubt that Merkel and German policymakers largely direct foreign policy, and Sikorski would cement a growing German-Polish axis in the European Union (though Merkel might prefer to memorialize that by elevating Tusk to the Council presidency). 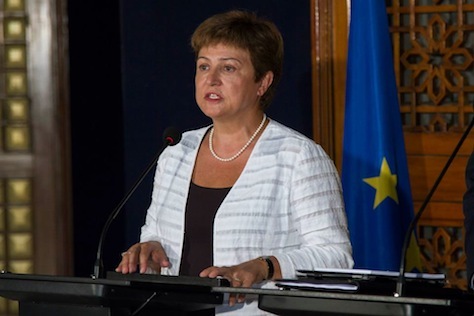 If, for some reason, Europe’s leaders find Mogherini too inexperienced and Sikorski too hawkish, they could turn to Georgieva (pictured above), who might be considered the favorite among European bureaucrats. A former World Bank official, Georgieva won high marks for her service as the commission for humanitarian aid. In Brussels, she may have more boosters than either Sikorski or Mogherini. A former World Bank vice president, and its representative in Russia at one point, Georgieva has done much of the quiet, essential work of European humanitarian policy for the last four years, including her leadership of EU efforts to respond to the post-earthquake crisis in Haiti upon her appointment. Americans could think of her as a kind of supercharged analogue to USAID administrator Rajiv Shah. Call her the candidate of European neofunctionalism. Strategically, however, Georgieva has her own benefits. Like Mogherini, she brings gender and geographic diversity to EU leadership. Though she’s tangentially tied to the center-right, it’s more accurate to call her a technocrat than an ideologue. As a Bulgarian, she would represent the cutting edge of the European Union’s newest member states. A fluent Russian speaker, she might serve as a balm for relations with Russia as well.